In order to be a leader amongst her peers, she has to possess certain qualities. Here are 5 of the big ones. 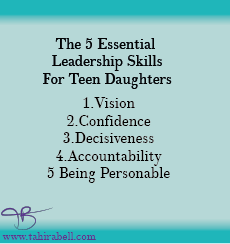 Help your daughter develop these and she is on her way to becoming a great leader. She has to have a clear vision. How is your daughter in this area? When she has an idea, does she know what to do next? Most importantly, does she follow through and take action to bring the idea to life? Have you ever seen a timid leader? Maybe you’ve been part of a group where the leader wasn’t outspoken and lacked confidence. 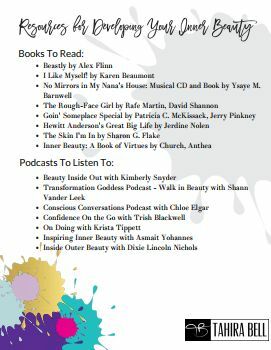 A lot of our girls struggle in the confidence department, but it’s necessary and the beauty is that this can be learned. 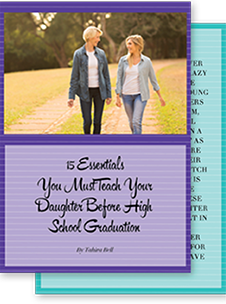 As a leader, your daughter’s peers will look to her to make decisions. She must get comfortable with making decisions even if it’s not the popular one. Wishy-washiness will confuse the people around her and that can lead to a lot of drama within her group. We know what it’s like to miss the mark sometimes. How does your daughter handle it? Does she use excuses or does she accept responsibility and come up with a game plan to do better next time? No one wants to work with someone they don’t like, and teen girls are certainly no exception. Your daughter can have the greatest ideas in the world, but if she isn’t approachable it can make her leadership dreams very difficult. There are other skills that need to be cultivated, but starting with these five will give her the advantages she needs. The world is ready for more girls to step up and be leaders. We have to do our best as parents to prepare them. does she have an idea but is feeling stuck on what to do next?